1 - My friend Alisha asked if I'd ever included this song in my 7QT, because obviously it is so good and deserves a spotlight. Alisha used to live 20 minutes away but now she's in Louisiana. However we're attending The Edel Gathering together and I don't know what I'm more excited about: seeing her or the conference. 2 - Instagram. I'm on it. I don't have the little camera button with my other social media buttons but it'll be coming. If you're there let me know so I can follow you! 3 - Today begins the Behold Conference weekend. I'm so excited. Kendra is coming. And Molly. And Mother Assumpta, Diedre, Marie, Nancy, Katie, and so many more. Tonight is a special gathering for bloggers and then later a speakers' reception. I'm going to both and I'm planning on wearing my black heels. 4 - Did I tell you that I finally got Travis to watch Doctor Who and he loved it? Well I did, he did, and now we both want t-shirts that say "The angels have the phone box." Here's some Doctor Who pins I loved. 5 - Speaking of Doctor Who and Edel. Do you think these shoes could win me the contest? 6 - True or false: Women dress for women. Tonight, along with my heels, I'll be wearing a cute shirt and my red lipstick. If I could do the Dutch braid crown I would totally rock that, too. If I dressed like that to go somewhere with Travis he would ask me, "You're wearing that? Is it okay if I just wear this?" 7 - After months of trying to arrange something with our budget and a homeschooled teen we know from church I finally have a mother's helper. 12-3:30 every Friday. She plays with the kids and right now she's vacuuming the stairs so I can type this. Congrats on the mother's helper! And enjoy your conference! #6: my husband does the SAME thing! Those. Shoes. :) Fantastic! I feel like everyone's going to be bringing their a-game to Friday night at Edel, and I'll be torn between looking people in the eye or staring at their footwear. Aw, thanks! I wish I was at Behold right now, but I'll just have to wait for Edel. We're on instagram too as thoselandrys, I believe. Congratulations about the mother's helper. Enjoy the conference! So excited to see you on IG! You are followed! 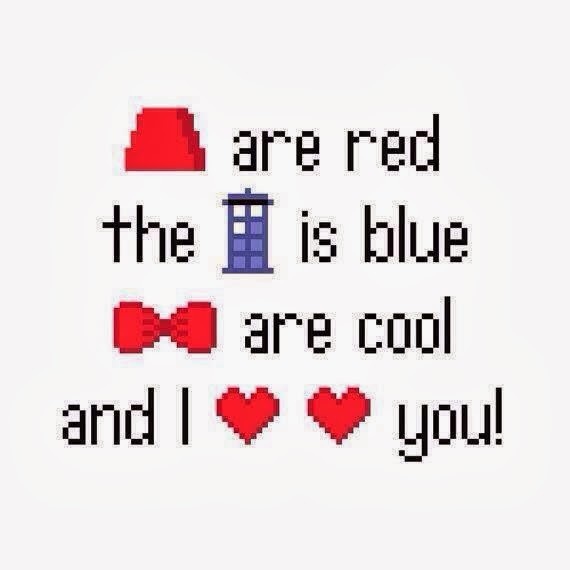 Thanks for the good-for-the-soul Doctor Who memes and the song hookup! 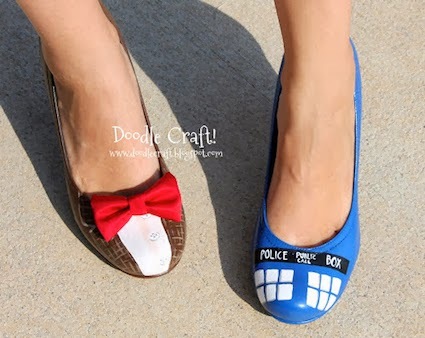 oh my goodness those flats, I want those shoes! I hope you enjoy the conference! That song was awesome!! 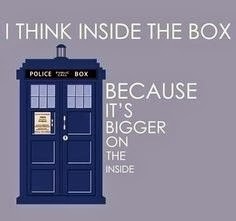 And i LOVE the Doctor Who things. So fun.